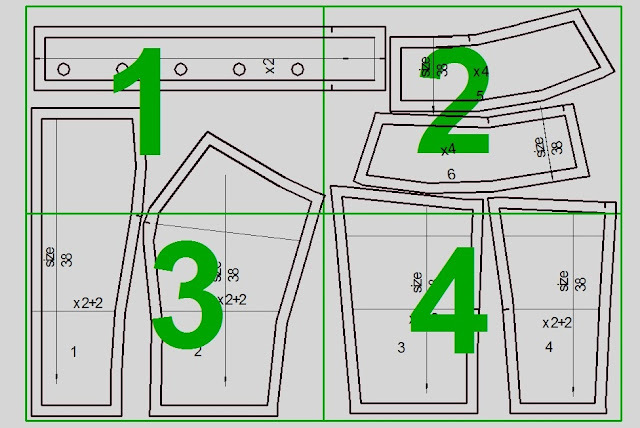 Corset Pattern - Free Download - A corset is a garment worn to hold and shape the torso into a desired shape.In recent years, the term "corset" has also been borrowed by the fashion industry to refer to tops which, to varying degrees, mimic the look of traditional corsets without actually acting as one. While these modern corsets and corset tops often feature lacing and/or boning and generally mimic a historical style of corsets, they have very little if any effect on the shape of the wearer's body. Genuine corsets are usually made by a corsetmaker and should be fitted to the individual wearer. Corsets are typically constructed of a flexible material (like cloth, particularly coutil, or leather) stiffened with boning (also called ribs or stays) inserted into channels in the cloth or leather. In the 19th century, bones of elephant, moose, and whale were favoured for the boning. Plastic is now the most commonly used material for lightweight corsets and the majority of poor quality corsets, whereas spring or spiral steel is preferred for stronger corsets and generally the better quality corset too. Other materials used for boning include ivory, wood, and cane. We now gave you a patter for a simple, modern corset, which you can download for free and print on your home printer. 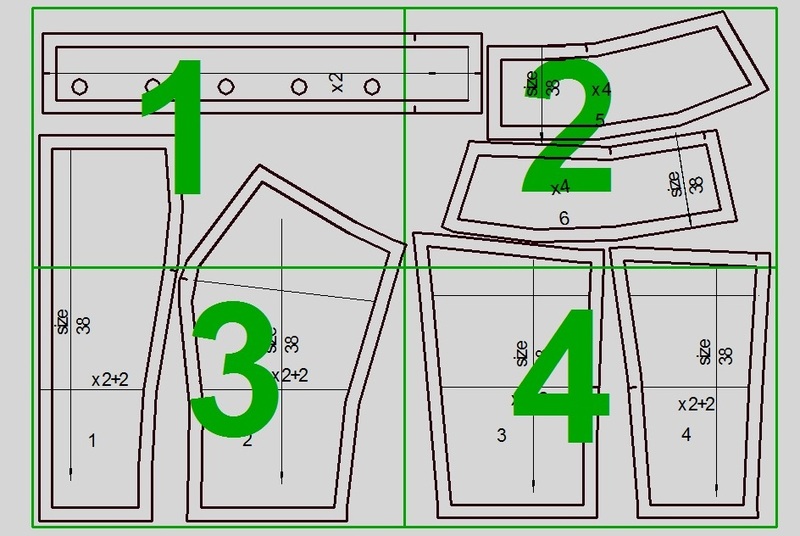 Thank you, This is a great corset pattern to start with, then build on it to make it unique. It is simple enough for my students to use.